The majority of the braking power is via your front wheel – around 75-90%, depending on the road surface, your position when riding, how your bike is set up, and whether you are carrying a load such as a pillion passenger. Modern motorbikes use a disc brake at the front, a shown in the photograph. This is a disc of metal, sometimes cross-drilled (with holes in it), which is clamped by pads controlled by pistons. The friction between the pads and the disc are what slows you down. The larger the disc and the bigger the pistons, the better brake performance you will have in terms of brake fade, but the overall performance of your brakes also relies on your tyres and suspension. mechanical failure or restriction, e.g. the master cylinder seals beginning to leak fluid. It’s extremely unlikely you will get brake fade on the road on a motorbike unless your brakes are dragging (i.e. always on and therefore always hot), or you are riding down a long slope and you are only using your brakes rather than your gears to slow you down. Brake fade is much more likely if you ride on a race track. As you start to brake, the centre of gravity of your motorbike is shifted forward. There’s a weight transfer which places more weight on the front wheel and, in very heavy braking situations the rear wheel can lift off the ground. The rear wheel, therefore, has very little weight on it and can lock up very easily. On a dry, tarmac road it’s more likely that heavy front-wheel braking will send you over the handlebars than the front wheel actually locking. If you adjust the weight balance on a motorbike, for example by carrying a pillion passenger, you adjust the relative amounts of brake power you can use. A pillion passenger will put more weight over the rear tyre and therefore more rear brake pressure can be applied. 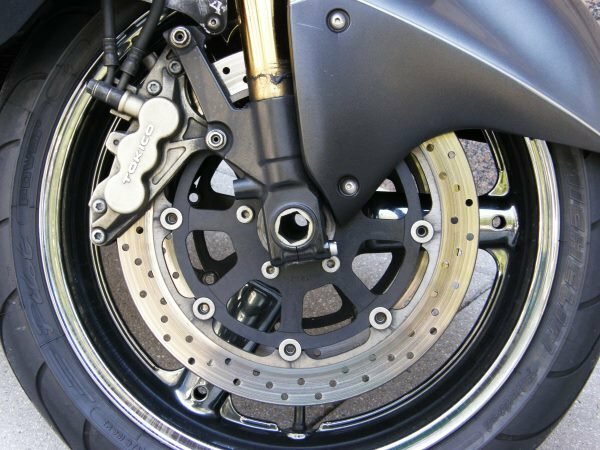 If you have a motorbike that’s more of a cruiser with the weight situated over the rear, the brake disc may need to be larger than that of a sport bike where the weight is more neutral and the bike is lighter. If you are carrying anything on your bike it is best to keep the load’s centre of gravity as low and central as possible. Using both the front and rear brakes together will result in the fastest stopping time. The best stopping performance is achieved where the tyre is kept just at the point of locking up. This is difficult to achieve without anti-lock brakes, but more and more motorbikes are coming with ABS. As you slow down you will also be downshifting and will need to be careful how you engage the engine. For example, if you downshift and then release the clutch, the engine creates extra braking of its own, therefore clumsily releasing the clutch while heavily braking can cause the rear wheel to lock up. You must also be careful not to over-rev the engine when downshifting. To smooth the downshift you can match the engine revs using the throttle. This takes a bit of practise. The best braking performance will be when you are upright and travelling in a straight line. If the bike is turning as well, the tyres have to deal with forces created by the bike changing direction as well as it slowing down. You will either have less turning power or less braking power. This kind of manoeuvre – heavy braking while trying to turn – puts you at risk of a lowsider accident where the front wheel slips away from underneath you. The best cornering technique is to get the right speed before you start turning and use a little bit of throttle through the corner to keep the bike balanced. Keep your arms relaxed and look where you want to go rather than at objects you want to avoid. Even though a bike weighs much less than a car, its stopping distances are not dissimilar because the contact patch (the amount of tyre in contact with the road) is very small compared to car tyres. This means that you should still maintain the two-second gap between you and the car in front. Increase this to four seconds when it’s wet. Your stopping distance is made up of reaction time plus braking distance. Your reaction time will be 1-2 seconds which means at 50kph you will travel 14-28m before even applying the brakes. If you are too close to the vehicle in front and it stops abruptly, you’ll hit it before you have a chance to react. It’s much more difficult to brake on a slippery surface when riding a motorbike. Do as much of your braking as possible in a straight line to reduce your speed as much as you can. If the surface is really slippery try to avoid using the brakes and just let the engine slow you down. Use your feet as outriggers in case the bike starts to slip away from you. If you’ve been checking your mirrors frequently you’ll know what is behind you. If you need to brake heavily, remember that the vehicle behind you might not be able to stop. So, if someone is tailgating you, give the person in front a bit extra room just in case you have to stop suddenly. 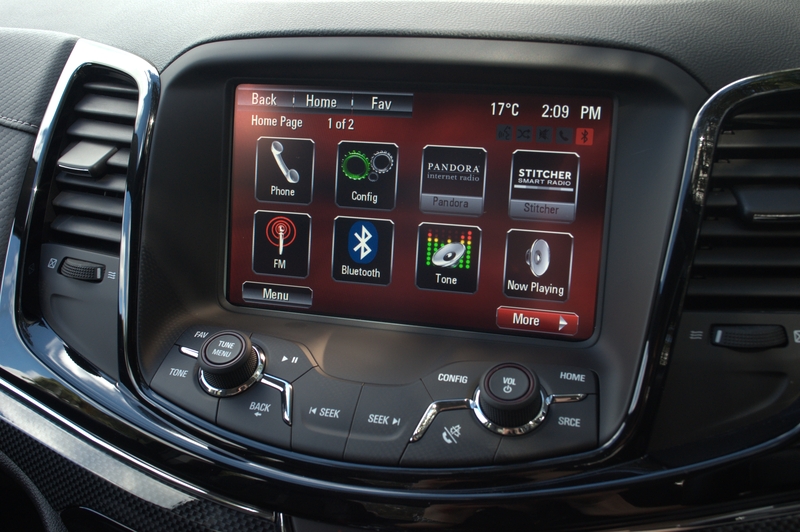 ‹ Is it dangerous and distracting to listen to music in the car?